Thanks to the support from the Easterseals UCP Individual and Community Services Program, Chris is reaching goals and seeking greater independence in self-care, communication and social skills. With the help of a paraprofessional one-on-one, Chris has made big gains in a short period of time at home and in the community. 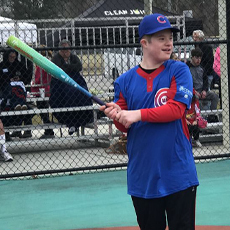 He's passionate about sports, and with his new skills he's hitting one out of the park! Find out more about Easterseals UCP services. 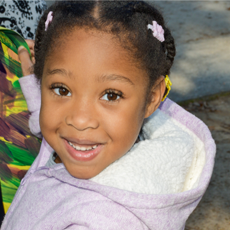 Since Jalea was a baby, she has received support to learn to walk and achieve independent skills from the Dorothy Spainhour Child Development Center in Fayetteville, North Carolina. Now, at age 5, Jalea is set to graduate and attend a typical kindergarten next fall. 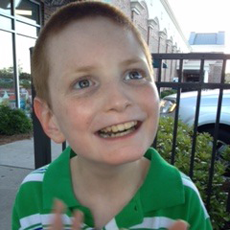 Applied Behavior Analysis (ABA) sessions from a Board Certified Behavior Analyst at Easterseals UCP has provided Harley and his family with the support and tools they need. Harley has made great progress by communicating with an iPad and learning new life skills. 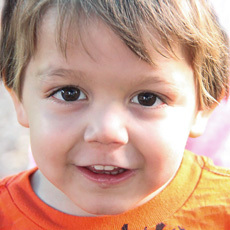 Little four-year-old Landyn arrived at the Summer Moore Child Development Center when he was just a year old. He couldn’t crawl, pull himself up, walk or talk due to his diagnosis of spondylometaphyseal dysplasia, a genetic and rare bone disease. Within a year, therapists and staff at the Greenville-based Easterseals UCP Center were able to get his muscles moving enough so he could take his first steps. Language came slowly but now, he’s unstoppable. 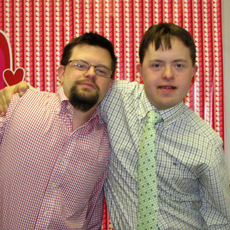 Cole and Garrett are adults with Down Syndrome. They have found new friends and have learned new skills such as cooking at the EMPOWER Adult Program in Hertford County, NC. This program is open to anyone who has graduated from high school. The hard work of the dedicated staff at Dorothy Spainhour Child Development Center in Fayetteville, NC has paid off. 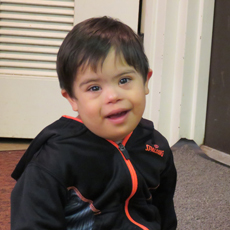 Davian, age two, is diagnosed with Down Syndrome, and has made strides towards independence. He is beginning to feed himself, follow direction during circle time and interact with his peers. His little voice has emerged and Davian says "hi" and "bye"! Small miracles for this tiny determined little girl. Jalea, who was born with spina bifida, a gross motor disorder, has begun taking steps. Thanks to Easterseals UCP supportive staff at the Dorothy Spainhour Child Development Center. 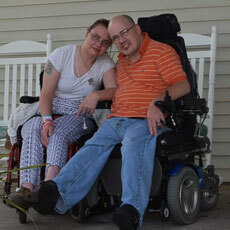 Tracy and Phillip are our resident love birds at one of our group homes. Their disability brought them together at Easterseals UCP. For 11 years, they've been couple and they're hoping for many more! The national campaign, #DisabilityTogether, raises awareness of people with disabilities and support their needs in education, employment, military, and in our communities. Easterseals UCP is taking on disability together by maximizing their individual potential to live, learn, work and play. Support someone you know with a disability or mental illness. We can help through our wide range of programs and services in North Carolina & Virginia. Learn more about our Employment Services. Lee (photo: on left) works as a receptionist at EastersealsUCP and receives incredible support from Johnita (photo: on right), an employment services job coach. 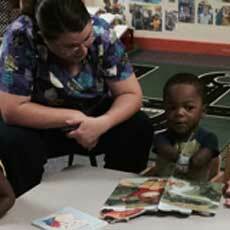 Dedicated teachers and occupational therapists at the Easterseals UCP Craven-Cherry Point Child Development Center in Havelock, NC, have encouraged little Dareon to be more independent. He's making great strides in playing, feeding himself and self-care skills. We're proud of you Dareon! At 17 years old, Sacillia needed help. She found a new "home" through the Easterseals UCP Child Placement Program. Now she's starting over with a bright future. Easterseals UCP Employment Service Program helped Angela get back on her feet again. With a job and a future, Angela is smiling again. 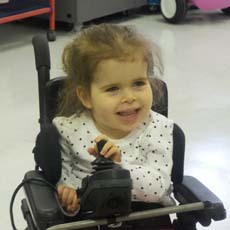 A donated power wheelchair has made the difference in this little girl's life. Lucy, age three and a half, is unable to walk on her own due to a diagnosis of polymicrogyria. 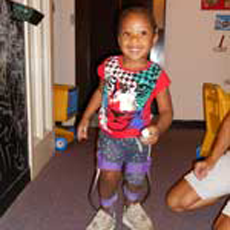 A physical therapist at the Charlotte Easterseals UCP Children's Center working with Lucy, decided to test her skills. Within an hour Lucy was moving back and forth, and side to side successfully! Charlie Gaddy, a long-time TV anchor and reporter, is honored for his decades of championship and advocacy for children with developmental disabilities. 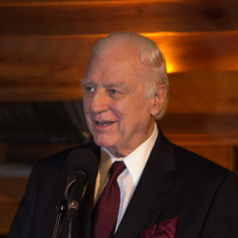 Through telethons and supporting Easterseals UCP, Charlie was instrumental in raising the funds to open the Gaddy Center in Raleigh, and has helped raise $8 million for children with disabilities. 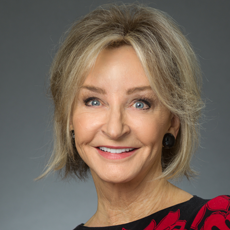 Congratulations to Easterseals UCP President and CEO, Luanne Welch for recieving the prestigious Triangle Business Journal's Women in Business Award for Non-Profit Leadership. She has been recognized for her decades of passion and dedication to building successful programs and hope for people living with disabilities and mental health challenges. 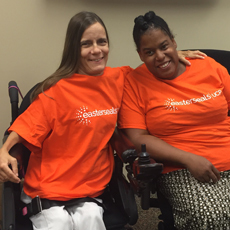 Easterseals Walk With Me is an event to raise awareness and support for families living with disabilities! Join hundreds of passionate people in your community for a day full of entertainment, fun and, of course, our signature walk! Every walk event is different -- your walk could be at a local school or at the aquarium. But every walk is a lifeline of funds that enables your local Easterseals to continue providing vital services and support to people with disabilities and their families. Easterseals programs across the country provide a wide variety of interventions that help individuals of all abilities, including those with Autism Spectrum Disorder (ASD). Easterseals currently has a combination of services specifically targeting individuals with the diagnosis of ASD as well as other services that include individuals with ASD among their service recipients.